A transfer case is a part of a four wheel drive and all wheel drive vehicle. The transfer case is connected to the transmission and also to the front and rear axles by means of drive shafts. It is also referred to as a "transfer gearcase", "transfer gearbox", "transfer box". 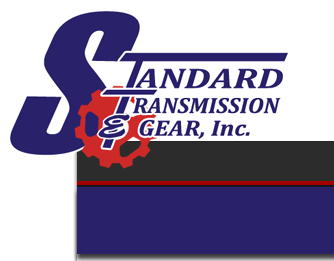 Standard Transmission & Gears repair facility can rebuild your transfer case for you. 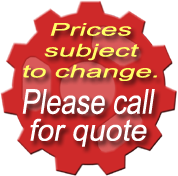 We also have parts for the auto repair shops and DIY’s that would rather build it themselves. Parts are available for immediate shipment. If we don't have it in stock, we'll find it for you if it's still available and have it drop shipped to your address. Contact us or request a quote on your specific application. Make sure you have manufacturer's tag information. Follow the steps for checking and replacing your transfer case fluid. Make sure your vehicle is secure on a level surface. Locate the oil fill plug on the transfer case and remove the top oil fill plug. Make sure to inspect transfer case oil for metal flakes when in the oil drain pan. Fill the transfer case with the manufacturer's recommended oil until it begins to flow from the fill plug hole. Thread the oil fill plug back into the transfer case. Torque the oil fill plug to 30 ft. lbs. and check for transfer case leaks. 203 SPROCKET KIT 2 IN.